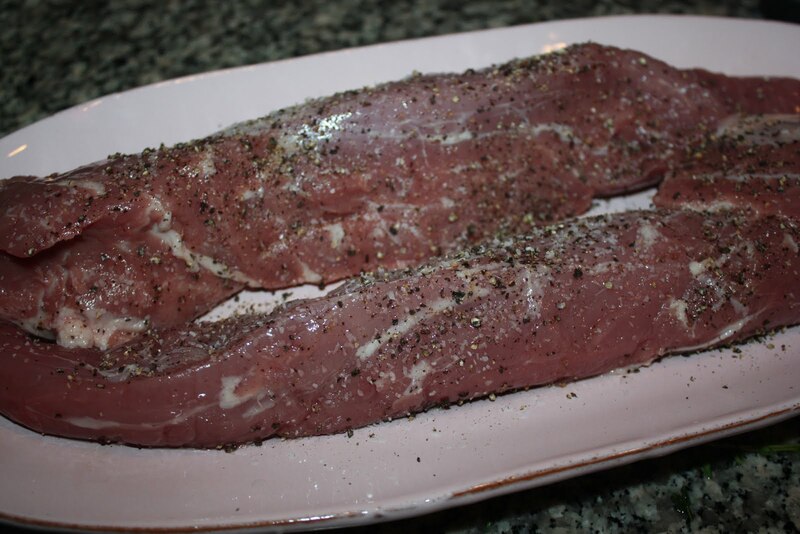 Here is a great recipe for herb marinated pork tenderloin. When buying the tenderloin from the grocery store, they often come shrink wrapped … When I buy them, I try to stay away from the pre-marinated ones. They are injected with a preservative solution ( I don’t really want any solution injected into my food, thank you very much). 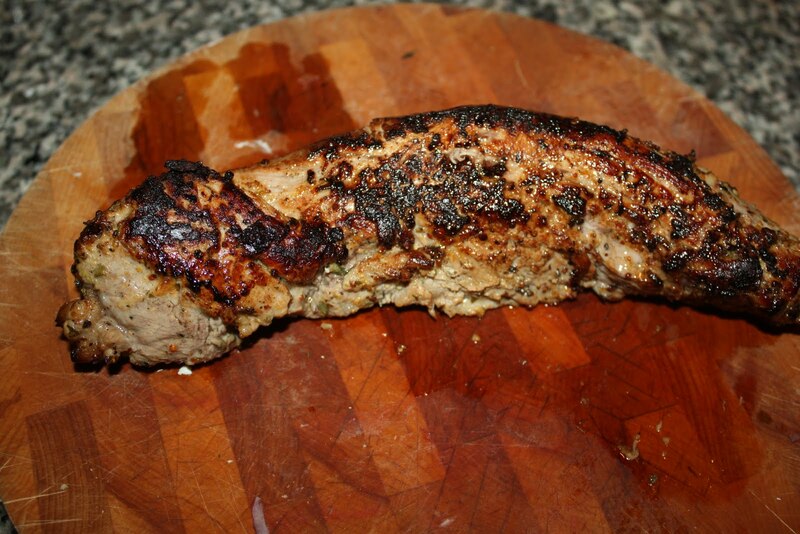 Sometimes I can get pork tenderloin from the butcher when it is on sale..I.. like getting it from the butcher because he trims it for me. My butcher is very nice 🙂 When it is on sale I always buy one for the freezer. The ones that are shrink-wrapped at the grocery store (without being marinated, RIGHT?) no injectable solutions for us 🙂 usually need to be trimmed a little. It’s quite easy to do. 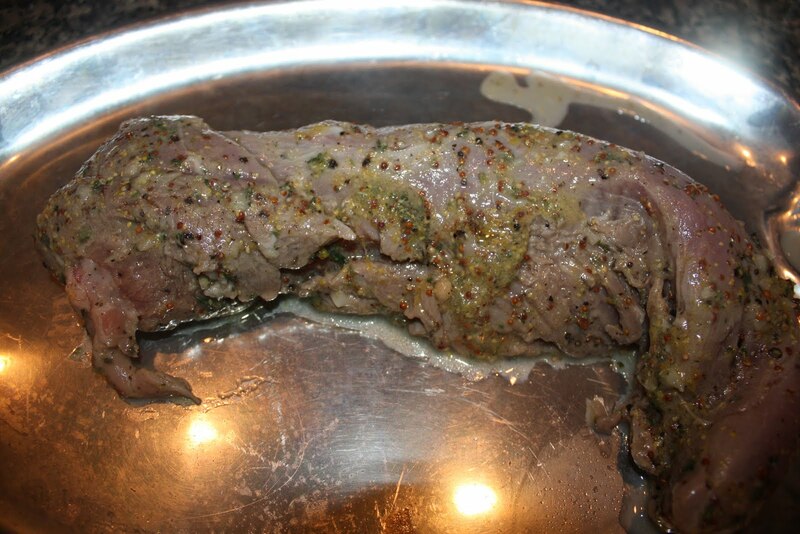 Lay the tenderloin on a clean cutting board & slip a knife just under a piece of the fat or silverskin. Gently guide the knife & pull at the fat, not the pork. The fat should easily pull away..
Ok.. now that we are done covering that, I’d like to mention that in those shrink wrapped un-marinated packages, there are usually 2 tenderloins. Which means for the average family ( not that we are average by any means) you can get 2 meals out of it. 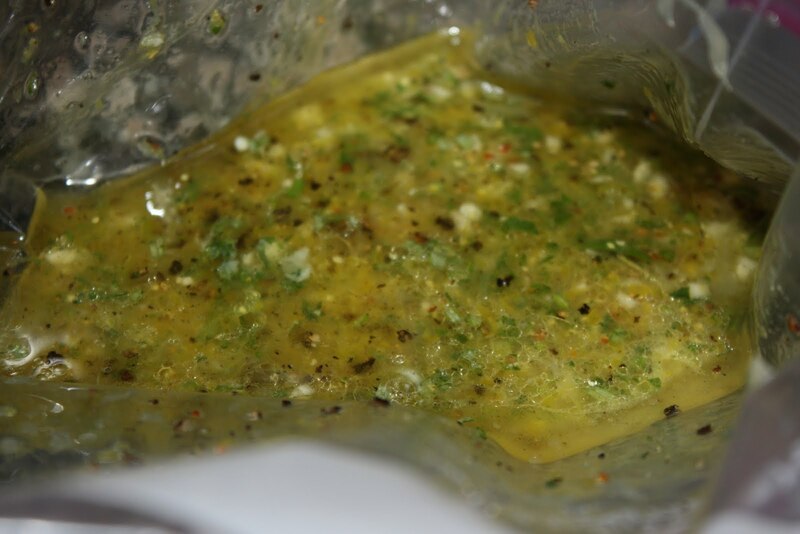 add the tenderloins ( both of them, even if you are only going to cook one) into the bag & massage the marinade into the pork. zip up the bag , pressing all of the air out & place in the refrigerator. 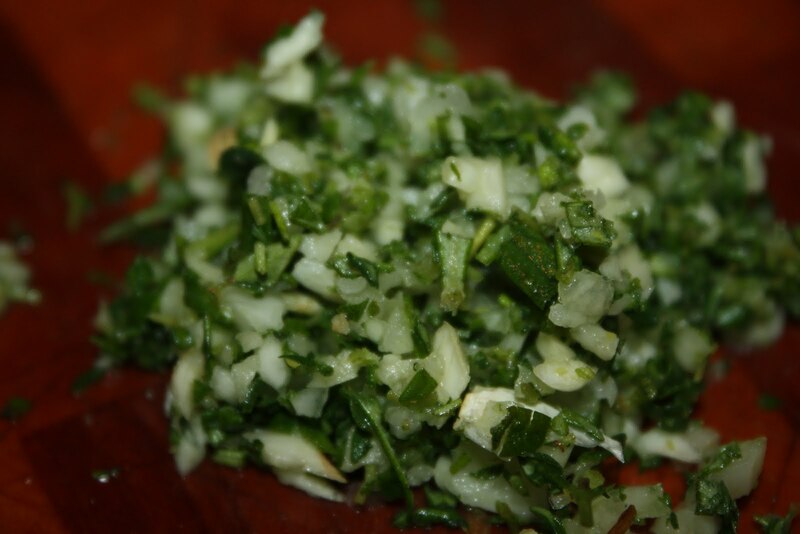 Allow to marinate for at least 3 hours, but not more than 24. 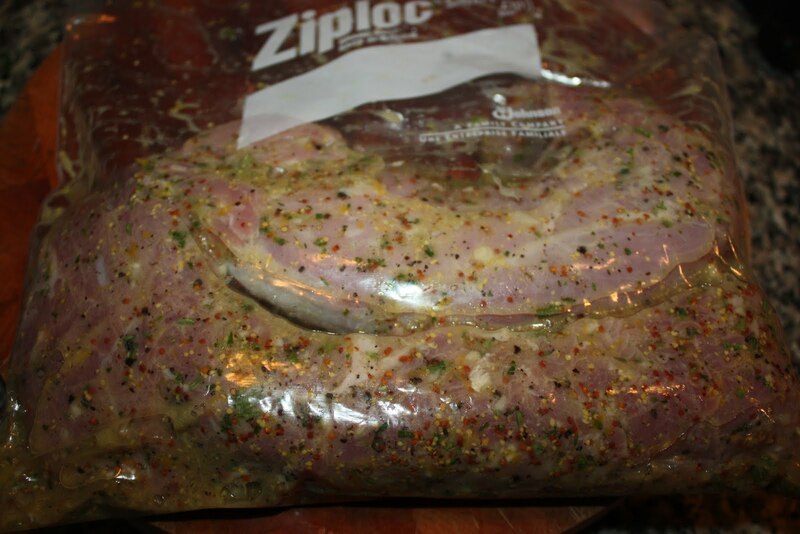 When you are ready to cook the pork, if you are only cooking one, then pull that one from the bag onto a platter about 1/2 hour before you want to cook it. This is important because if you add cold meat to a grill or frying pan , the meat will seize up due to the temperature difference, allowing it to sit at room temperature insures that that won’t happen. if you are cooking it inside follow the directions on Ina’s recipe. I personally cook my pork to 145 degrees using a meat thermometer. If you don’t have one, you really need to get one, nothing fancy, just your basic meat thermometer. when the pork is done resting, cut it on a diagonal & viola! This was delicious. and simple. and for a large part, do-ahead. and the best part is? I have another one just waiting for me in my freezer.. 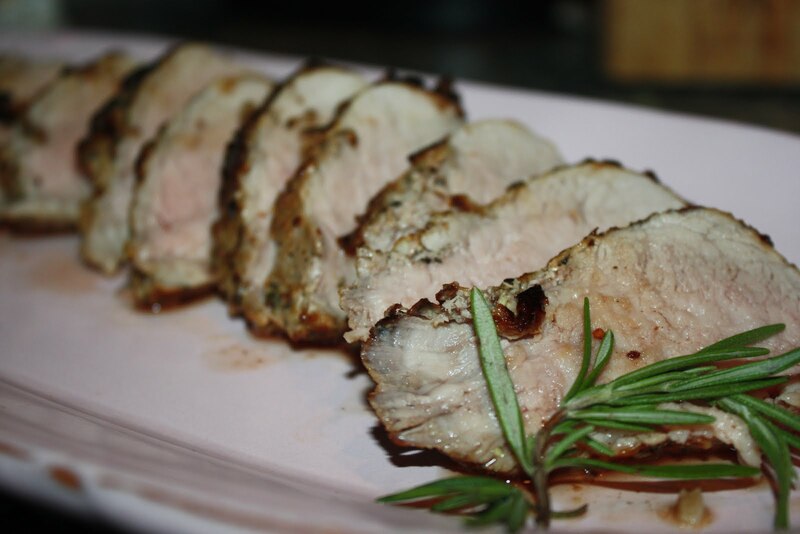 Thanks for that tip about the pre marinated pork loin, I rarely buy that (we don't really eat pork) but I'm sure the same holds true for the marinated chicken at the store. 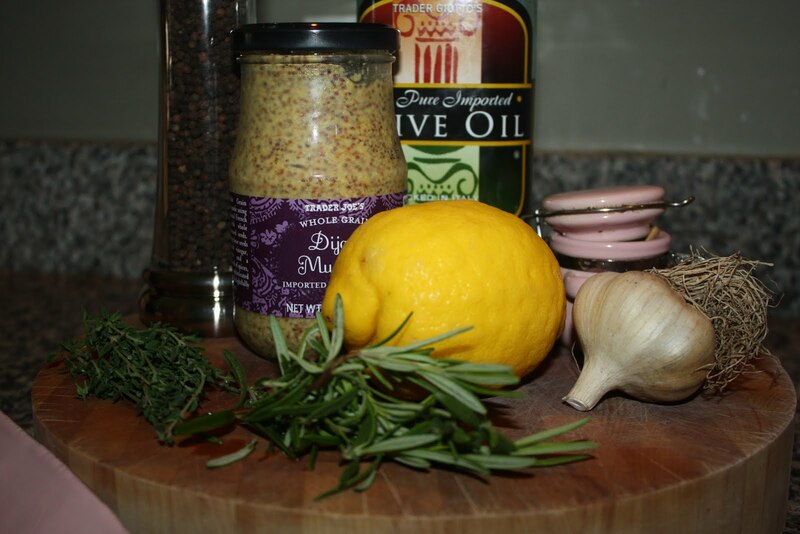 I'll be sure to marinate my own chicken from now on!